Having a credit card is very essential nowadays. You can shop, fly to the desired destination, pay bills and fulfill your aspirations with ease. There is an interesting thing; credit card and credit scores are tied together. You may avail credit cards even at bad credit, because credit cards are mapped with every credit scores. In this blog, we will tell you how to get the credit card irrespective of your credit score. We will start our discussion from a bad credit score. And then gradually move towards a fair and good one. How to get a credit card if you have a poor credit score? A credit card is the most perfect tool for your needs. However, if you have poor credit or do not have any credit history at all, you may find it difficult to choose the best credit cards for yourself. When you have poor credit, you may still get credit cards having high-interest rates and ‘sky-high’ limits which makes it extremely difficult for you to repay in full or part. You seem to fall into a vicious cycle with these bad credit cards as in the worst case, it even gets difficult to make the minimum payments, thanks to the ‘hard strings attached’. These bad credit cards will make you feel as if you were neck-deep in debts, at times. You are often left to wonder if you will ever regain the trust of the credit card companies or financial institutions, who pamper their customers with higher credit ratings. How to get a credit card with bad credit then? Don’t worry! Getting the best credit cards with bad credit may be difficult, but not impossible at all! The reality is that, just about anyone and everyone is entitled to own a credit card, irrespective of his or her credit history. There are quite a few credit card options, designed specifically for people with poor credit. Credit cards in this category are an excellent option if you have poor credit. Anyone can avail this because of the fact that it does not lend money to you. Rather, you put money upfront into your account and the same is deducted every time you purchase something. As there is no overdraft in this case, you do not need to incur any interest. You just need to provide some simple banking information and get a credit card for yourself. Many financial institutions offer these credit cards for people with poor credit. Usually, these cards come with a high-interest rate, which may not seem to be ‘good enough’ for you. But, these cards can help you in the sense that, you have no option but to be more particular while making repayments every month. Making timely payments will boost your credit score over a period of time and you will end up getting a much cheaper deal next time from the lenders. Many financial institutions offer credit cards for poor credit, along with a ‘low balance’ option. Such credit cards for poor credit do not allow you to spend much on a given month but ensure that you can improve your credit rating and can increase your limit eventually. Do have in mind that your lender assesses the risk of lending to you, every time you apply for a credit card. Once they are convinced about your credibility and reliability, they will offer cheaper interest rates to you. These credit cards for poor credit may charge from you a higher Annual Percentage Rate (APR) similar to the unsecured variety with one striking difference. These cards come with less stringent qualifying conditions because the available credit on the card is deemed to have ‘paid’ in full by the cardholder already. Such credit cards for poor credit works very much similar to a debit card associated with a savings account except for the fact that balances left on your card are levied a monthly fee depending on the APR. A minimum finance charge may also be charged on these balances. Wonder why the name of this credit card for poor credit is followed by an asterisk? This is because you need to meet a few qualifying conditions to be able to avail such credit cards. The common conditions include income, time at residence, time of employment and the credit rating, of course. The nature and extent of these conditions vary from one card to another but most cards require a minimum annual income of $12,000 and continuous employment of at least 6 months. Continuous residency may be an issue at times but most financial institutions want a minimum stay of 6 months at a particular address. For some financial institutions, the lower is the credit rating; the higher may be the APR charged upon you. They may also ask for a deposit or charge higher annual fees from borrowers with poor credit. Credit cards for poor credit are excellent tools to turn poor credit around in due course of time. These credit cards can do wonders for people with poor credit, simply because they can help such people to regain the confidence and habit of making steady and timely payments. These credit cards can come with high-interest rates. Therefore, it is imperative that you study the details of your agreement/contract with the lender with rapt attention. Try to understand things like - how much interest will be charged from you per bill or per use, when your payments are due or what your spending limits are and so on. By doing your homework beforehand, you can use this information to your own advantage. Do have in mind that the word ‘poor credit’ does not always deprive you of lucrative credit opportunities. There are many financial institutions that are willing to give a chance to potential borrowers like you if you give them the impression that you are willing to welcome positive changes in your financial handling or you are eager to build your credit rating. This way, you can give yourself that elusive fresh start that you so richly deserve. “Afinoz “is there to take care of your financial health and our dedicated experts will provide you with the best possible financial advice related to getting credit cards with poor credit. For any query, feel free to call us at (9711996118). Are you confused by the term "fair credit”? Yes, it is somewhat confusing indeed. Fair credit is not something bad to have, at the same time; it’s not exactly an excellent or good rating too. If you have fallen behind on your monthly payments recently, missed out on a few payments entirely, regularly going through a hardship in repaying your credit cards or have a low debt to income ratio (DTI ratio), you stand a chance of being put in the ‘fair credit risk‘ category by lenders. You do not have to feel disheartened at all in such a scenario. Apart from the existence of a few unpaid items, a fair credit rating on your credit history also reveals to credit card companies that you are making a fair amount of progress on these unpaid items, but open issues still exist for you to address. Most of the credit card companies consider this when you apply for a credit card. Hence, rest assured, you are always allowed to avail a certain degree of credit even if you have fair credit. Also, the credit scores of the American consumers are on the decline in some population segments, owing to the intermittent mortgage crisis. Therefore, credit card companies have come up with certain credit cards for fair credit and in fact, there exists a growing competition among credit card products for business space in this segment too. This means people like you, who have a fair credit rating, are due to get some real big deals! Do note that lucrative credit cards offers were reserved only for people with good/excellent credit till a few years back, but not any longer! Thanks to the market competition, these offers are available these days for people with fair credit too. The charge card is one of the most popular credit cards for fair credit. Usually, no credit limit is associated with these cards. However, the amount spent by using these cards must be repaid at the expiry of the particular billing cycle. Many consumers experience complications as they fail to understand this properly. It’s really tempting for you to go on an extended shopping spree with these cards as you can purchase pretty much anything you want. But, it is imperative that you keep an eye on the financial consequences too. If you are not able to pay off the amount you have spent after the end of the specified bill cycle, a hefty late fee will be levied on your credit card balance. This will show that you actually owe even more bucks to your credit card company. If you become a defaulter, the credit card company may impose certain restrictions on your credit card or nay even suspend your charge card altogether. These things will surely be reported to the credit agencies and your credit rating will go for a toss. Therefore, we would advise you to spend with caution, if you have acquired a charge card. The basic credit card is another useful type of credit cards for fair credit. A set spending limit is associated with this type of card. Here, you also need to pay a minimum amount every month and in addition, pay a percentage of the interest on your current balance amount. Annual fees will be there, of course. Many credit cards in this category run reward schemes and incentives for consumers who make timely payments and manage their money efficiently. Basic credit cards are regarded as a wise credit option for people with fair credit. Credit cards for fair credit are excellent tools to push you over from fair credit rating to excellent credit rating in real quick time. But, the key is to find just the perfect card with conditions that will not worsen your current financial condition any further, rather than improving it. Hence, it is important for you to know what to look for when you apply for Credit cards with fair credit. Make a note of certain things before you apply for Credit card with fair credit. Take your time and negotiate with your potential creditor to get a lower credit card interest rate, a more suitable monthly repayment or a more forgiving credit card billing cycle. By pondering over such things at the very beginning, you can actually end up saving quite a bit of money. 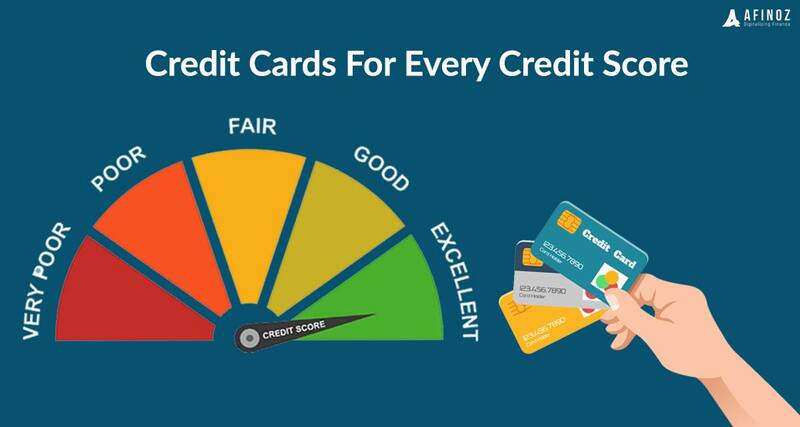 In most cases, credit cards for fair credit come with a credit card interest rate on the higher side, annual fees and lower spending limits on the credit available- as compared to credit cards for good/excellent credit. While you have always been hoping to get the best credit card deal around, you should understand that you would still be considered as somewhat of a moderate risk, when you apply for Credit card with fair credit. Therefore, even though you will be approved for your much-desired credit card, it’s quite possible that you may not receive all or some of the terms you so dearly hope to receive. Also, it is imperative that you study the details of your agreement/contract with the lender with special attention. By not fully understanding the stated conditions and acting carelessly, you will only be making a financial blunder and you will create a situation where your credit rating will go from fair to bad. At the same time, maintaining these conditions can do wonders for you as it will help you to regain the habit of making steady and timely payments and as a result, your credit score will improve. Do have in mind that not having a good/excellent credit does not make you insane! It's only imperative for you to understand that you need to work a little harder for handling your finances more efficiently. “Afinoz “is always there to take care of your financial health and our dedicated experts will provide you with the best possible financial advice related to getting the best credit cards for fair credit. How to get the best credit cards for good credit? Have you been able to maintain a good credit score of late? Kudos! A big door of opportunities is ready to open for you then if you are considering to apply for a credit card. As you will find out soon, financial institutions will be ‘queuing up’ to provide you with their best credit cards options and you will be flooded with lucrative offers from all quarters. Why on earth, are you pampered by all these companies, all of a sudden? This is for the simple reason that lenders feel secure and comfortable to deal with you as, with your good credit standing, you have maintained a certain degree of creditworthiness over a considerable period of time. As you are deemed to possess a low or zero risks of default, you have earned an indefeasible right to receive reward programs, promotional offers, and comparatively lower interest rates. Credit card companies will woo you with different schemes/rewards and you will be left to ponder over lucrative offers to choose from. Don’t bother! We are here to make your task easier. The cash back credit cards reward you with a rebate that is equal to a certain percentage of the purchases made by you. For example, some of the cash back credit cards can offer you cash back of 5 % when you make purchases at a gas station, supermarket or a drug store with these credit cards. As you continue to make purchases at these places, you add up your rebates and you can cash them in upon reaching a pre-specified limit. Let us assume you spend an average of $200 every week on food, gas and pharmacy purchases. Therefore, you can cash in $520 in the form of rebates after the end of the year ($200 per weekx52 week=$10,400x 5% cash back rewards=$520). Some of the best credit cards available offer reward points and reward programs instead of cash backs. You earn reward points against each of your purchases and you can pile up reward points as you go on making purchases with these credit cards. After you have been able to earn a specific number of reward points, you can redeem these points against gift cards, free merchandise, magazine subscriptions and so on. If you are a frequent flier/traveler, you may use these credit cards and pay less for your travels. When you pay for your air tickets using these reward cards, points are given against the miles for your air travel. Once you accumulate a specific number of points, you are eligible to receive discounts on your fare and travel accommodations as well. Some credit cards in this category may even provide you with free trips, can give you privileged status with chosen airlines/hotels and can offer exclusive travel perks. Afinoz can recommend suitable credit cards in this category when you make your business or pleasure trips next time. We will provide you with easy upgrade facilities based on your usage and you will continue to receive added benefits/perks. Some of the best credit cards acknowledge the fact that consumers are usually conscious and sensitive to the fluctuation/increase of gas price. They have devised credit cards for good credit that reward a card user for every purchase made by them by using these credit cards. You go on earning points as you continue to make your purchases and on accumulating a specific number of points, you become eligible to redeem them against prepaid gas cards. There are other types of credit cards for good credit also available where you can earn points while making your gas purchases. With this type of credit card for good credit, you do not have to incur any interest or finance charges for purchases made during a specified promotional or introductory period. Such a period usually varies from the initial 6 to 12 months. Some of the best credit cards available in the market even provide introductory interest-free periods of as many as 21 months. You may use this period to transfer the balance from your existing high-interest credit card and then choose to pay it off inside the promotional period. This way, you can consolidate your debt, without paying any interest. However, you need to make timely payments on these credit cards for good credit. When any one of your credit card payments gets past the due date, the 0% APR will be adjusted to a higher credit card interest rate. Now that you have managed to achieve a good credit standing, you should only be considering the most competitive credit cards available. If you intend to pay the card balances every month in full and in time (to avoid interest charges), apply for credit cards with the best reward schemes, benefits, and the best sign-up bonuses. You may also look for the one with the minimum annual fee or nay even bargain to have a waiver of the annual fee. Good credit is a wonderful asset to have. Most of the credit cards for good credit come with great rewards and provide great potential for you to save. As you go up the ladder in your financial pedigree and manage to position yourself as a viable and credible ‘option’ in the minds of the credit card companies, it’s only natural that they would like to woo you with their ‘best’ credit card offers. But, the idea of ‘best’ varies from person to person. For you, the ‘best ‘reward cards may vary according to your spending habits and what is/are your preferred way(s) of earning such rewards (cash back, miles, points or other kinds of perks). The financial marketplace is not short of lucrative credit card options. Afinoz will shortlist the most useful reward credit cards that will suit your spending habits and other requirements. With our extensive market research, we are confident that we will be able to bring to you the best credit card for good credit. Give us a call at +1 (925) 317-8255 at we will be happy to assist you with our search.